Post install and correction of PCB. Used for making Ardino's self-expanded board. Pb - free is saved because the body does not become heavy. I also want to purchase. This review is about item#89322265. Familiarity with irons is also good, and when used for soldering, we used the help of flux, but seems to flow into the interior of wiring wiring as well. The soldered electrodes lose to tin / lead solder, but the surface gloss is also good, the number of troubling species increased. 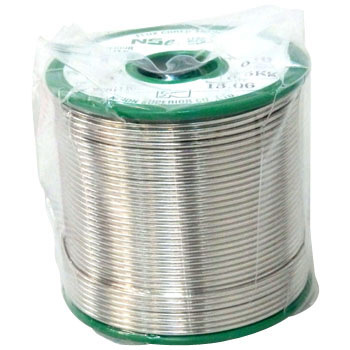 How about using lead - free solder? It is used for wiring of the coil etc inside the motor. It is introduced to business partners and purchased for the purpose of common adoption. We will continue to use it for partnership with business partners. This review is about item#89322274. Even though it is lead-free, it melts well and workability is good. The surface of the finish is also beautiful. I also have good sound quality and I will use it effectively for amp repair. Still cheap.